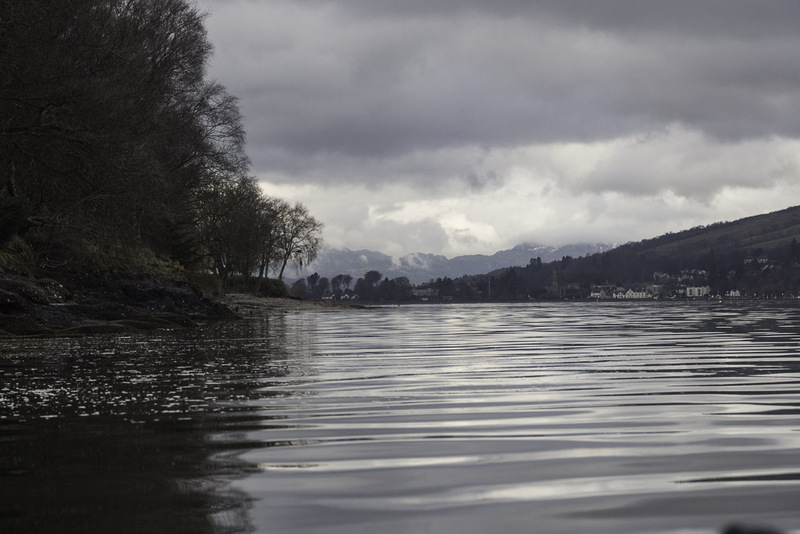 Sea kayaking with seakayakphoto.com: The sea was flatter than Argyll's Bowling Green. The sea was flatter than Argyll's Bowling Green. The calls of the Rosneath curlews were drowned out by the approaching thrum of heavy diesel engines. It was SD Reliable, an azimuth tractor drive tug, which is capable of handling the largest warships. The tug passed quickly leaving the wooded shores of the headland at Robert Ness in silence, apart from a blackbird in early song. 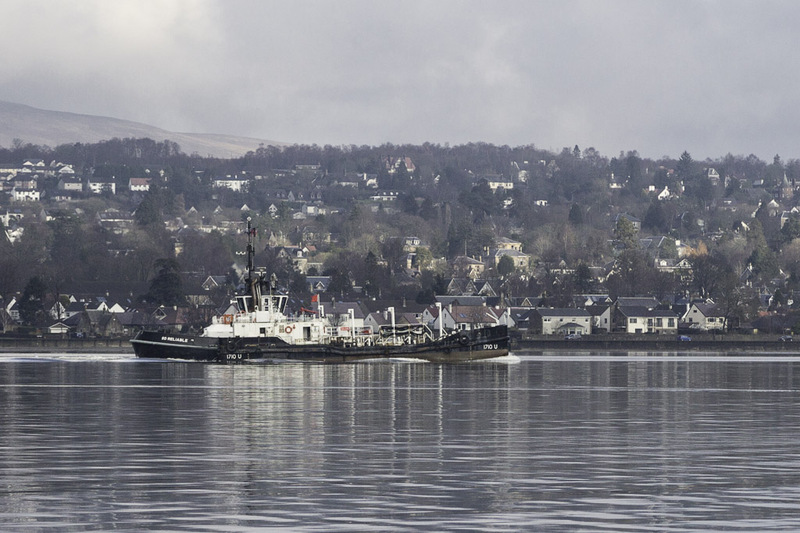 The peace did not last long as a MOD Police RIB sped up the Gare Loch towards the Rhu narrows. 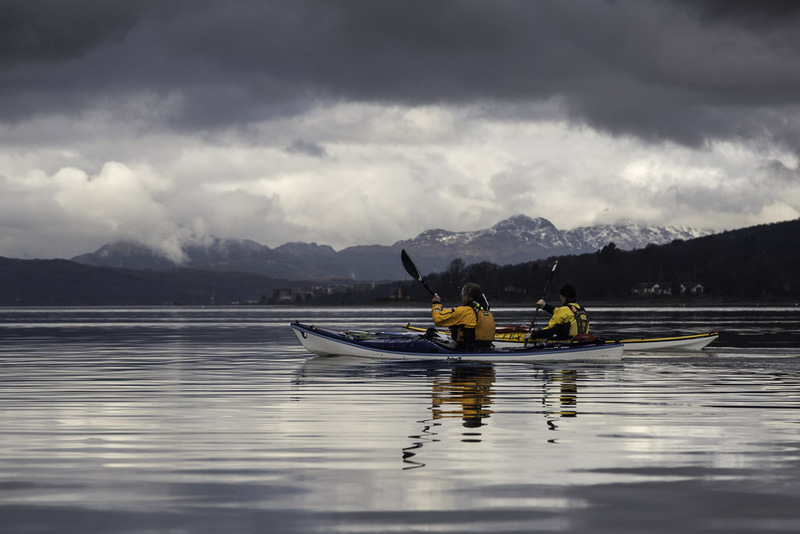 Ignoring a large caravan park on our left, we paddled across a glassy Rosneath Bay. 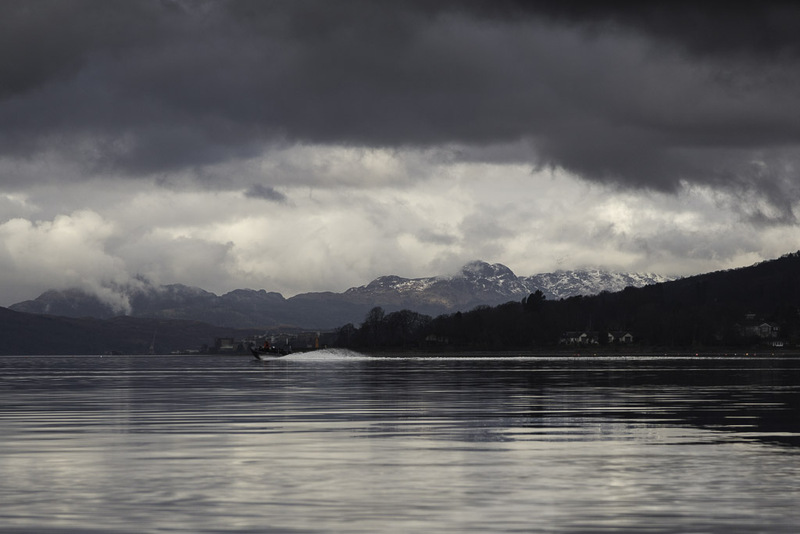 Beyond the Rhu narrows, the Gare Loch was backed by the snow streaked peaks of Argyll. These are locally known as Argyll's Bowling Green but as you can see there must be a degree of irony in thus describing such a mountainous switchback. Perhaps the eponymous Duke was so mighty that he could play bowls in the mountains? Perhaps some sarcasm was intended by implying the Duke's lands were so poor and mountainous that this lumpy ridge was his the best ground? Alternatively, the literalists argue that the name comes from a phonetic translation of the Gaelic "Baile na Greine" (village of the sunny pasture) but that just refers to a tiny strip of land at the foot of the mountains. I will finish by saying, without a hint of irony, that the sea was flatter than Argyll's Bowling Green. I totally loved the last picture. Great!